This class, appropriate for ages 5 and up, is a Suzuki-inspired intro to fiddle class, which slowly builds foundational techniques of fiddle playing, in the setting of traditional Appalachian tunes and songs. Younger students will start by playing on "box" fiddles, which are handmade out of cardboard, to learn essentials such as bow hold, hand position, and posture. Once proficiency in these skills is achieved, these young students will be ready to begin on real violins. Older students, (8 and up,) will skip the box fiddles and go straight to real instruments Note: Most students will need either 1/16th, 1/8th, or 1/4 sized violins. We will be happy to help fit each student properly! As always, in Fiddle From Scratch, PARENTS LEARN FREE! If you would like to participate in the class, rent yourself a fiddle and join in! Students will explore the basics of Old Time fiddling. We will learn traditional Tennessee and round peak fiddle tunes, focusing on those that are common in community jam sessions. Tunes will be taught by ear, and we will dissect the techniques used such as rhythmic bowing and chords. Prior fiddle or violin experience useful but not necessary! Students must bring their own instrument. In intermediate fiddle we start building a real core repertoire, including fiddle tunes with lyrics, harmony, double stops and modal tunings. 1 year experience with violin required. Taught by Annalise Ohse. Clogging is an American traditional dance. Sometimes called flatfooting, buckdancing or jigging, it's a style of rhythmic improvisation that developed alongside old time music as European and African American musical traditions met and influenced each other in the southern United States. There are solo & "team" clogging styles, and this class will explore both, with a possible/optional performance in January. Footwear should be either low-heeled tap shoes or leather-soled shoes. (The point is to make rhythms with your feet, so anything that helps you hear yourself and doesn't stick to the floor will work fine). Jeff Menzies has been teaching gourd banjo making for over 20 years, and we are so excited that he is bringing his skills to Nashville for two one-week long workshops in July of 2018. High quality, all natural building materials, procured locally by Jeff in his home in Kingston, Jamaica, will be provided. Students will be walked through each and every stage of making a banjo. Each finished instrument will be professionally set up and will last for a lifetime of playing. A historical overview of the banjo will also be covered, as well as many discussions of instrument set up and repair. 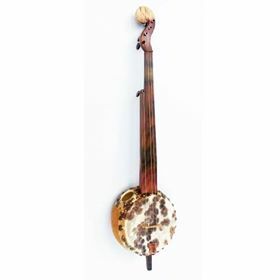 Students are free to make a gourd banjo, tackhead banjo, or an akonting, and the style and form of each banjo will be completely customized to each student's needs and aesthetics. Absolutely no woodworking experience is required. Jeff will be joined by Nashville's own J.P. Harris, who will provide further personal attention to each student. These workshops have a limited enrollment and will be offered on a first come first served basis. Cost for each workshop is $795, which includes a $200 non-refundable deposit to be paid upon enrollment.